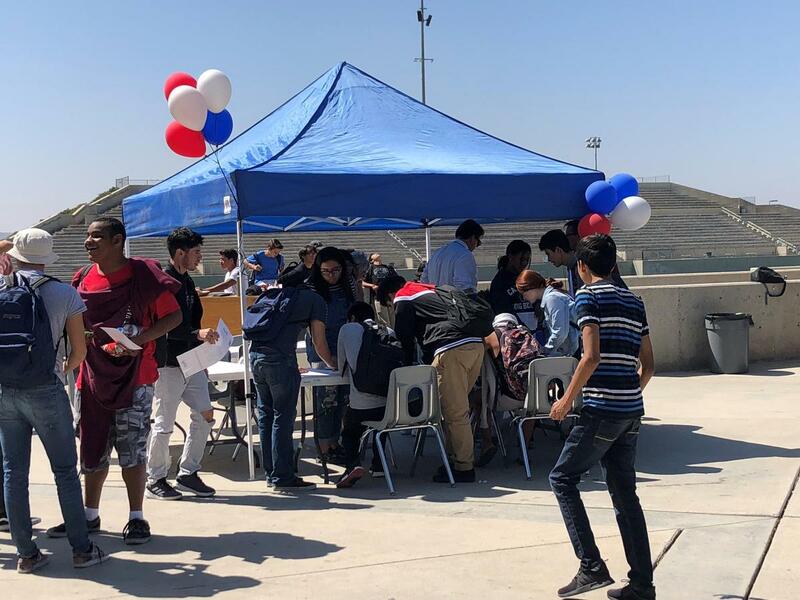 West Valley's Student Government spent their lunch registering and pre-registering fellow students. 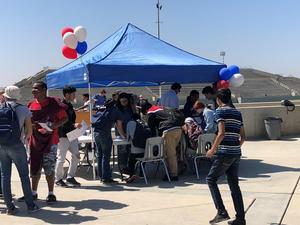 The California Department of Education, along with the State of California, are asking schools to observe High School Voter Education Weeks from September 17-28. In their announcement, they stated the importance of ensuring that students are learning to become active and engaged citizens. 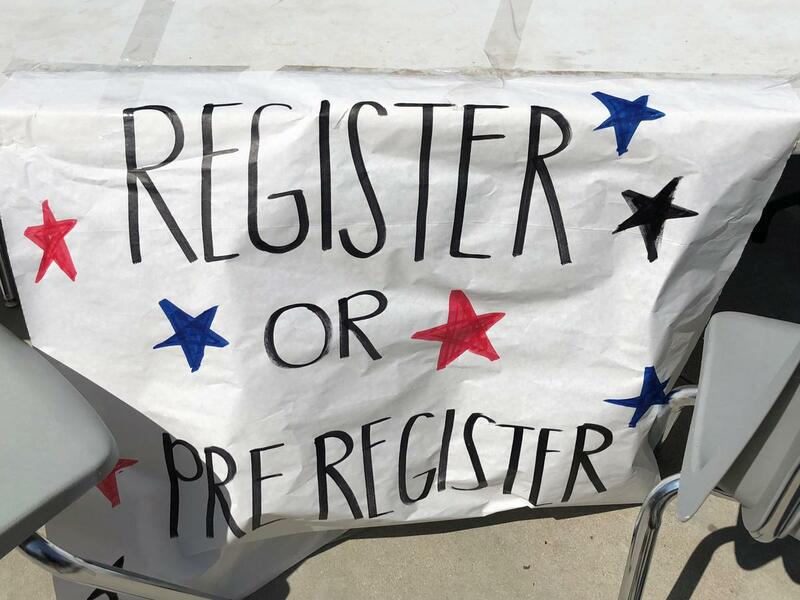 West Valley High School Student Government students are using Tuesday, September 25th and Wednesday, September 26th to help register high school students in time to vote in this fall’s elections. Students are working with retired educators from the Four Seasons community to help students register or pre-register to vote. With online pre-registration available sixteen and seventeen-year olds can pre-register now and they will automatically become active voters on their eighteenth birthday. 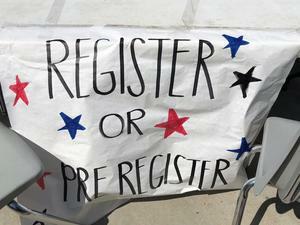 Students on the West Valley High School campus can participate in the two-day voter drive during lunch. Thank you to the Student Government and Four Seasons community members for providing an opportunity for students to become active citizens in our community and be a part of the democratic process.